Oh god, not this again - another day, another revelation about the kids from Stranger Things making hidden appearances on our favourite TV shows without us realising. Remember when Millie Bobby Brown was in like, three of our fave TV shows and we didn't even notice? Strap yourself in because the same thing just happened to Mike and we. are. screaming! 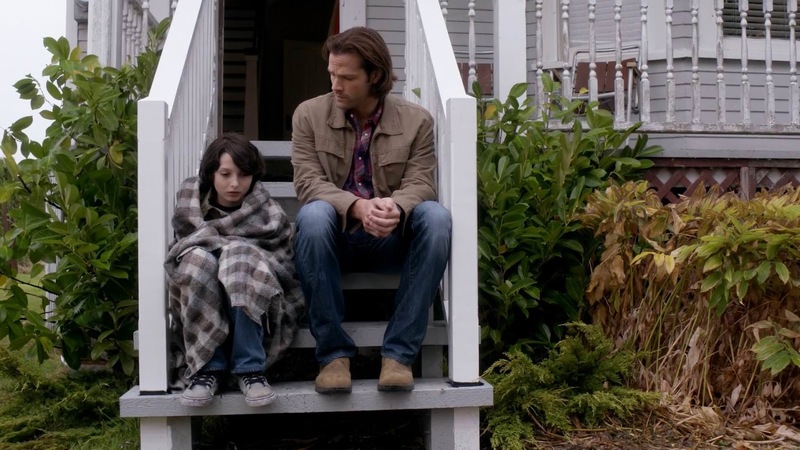 Finn Wolfhard, who plays Mike, took to his Instagram to post a cheeky little #TBT picture of himself on the set of... SUPERNATURAL and our minds have just exploded. Finn made an appearance in the Season 11 episode titled "Thin Lizzie" as Jordie Pinsky in 2015 and we have literally ONLY JUST NOTICED. How did we let this slip through our slippery SPN fandom fingers?! Watch Finn's scene with Sam here - something tells us the Winchester boys could sort that Demogorgon out once and for all! That's not the only undercover performance Finn has managed to pull off right in front of our eyes... Remember Zoran from The 100? Yep, that was Finn too! Mind. Blown. You learn something new every day!